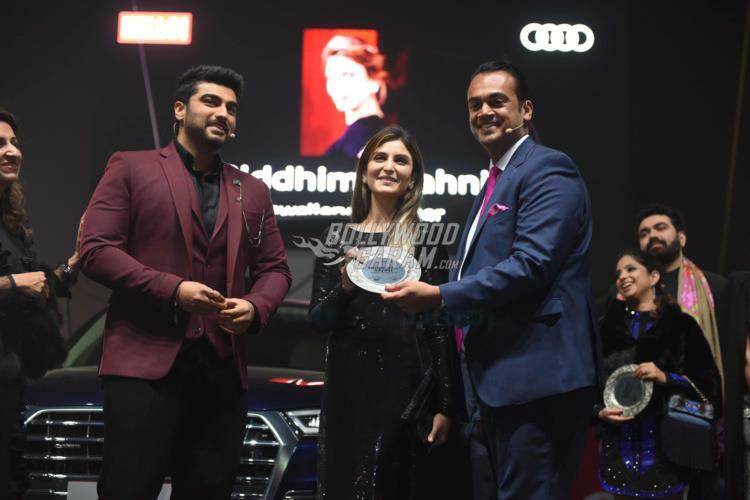 Bollywood actor Arjun Kapoor and Miss World 2017 Manushi Chhillar graced the launch party of the brand new Audi Q5 in Delhi on January 19, 2018. 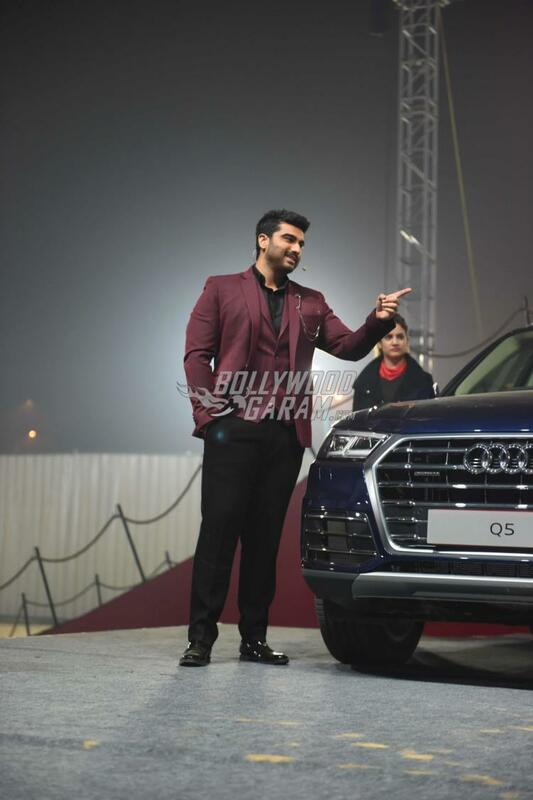 Arjun looked uber-stylish as he unveiled the new Audi Q5 at the launch event. 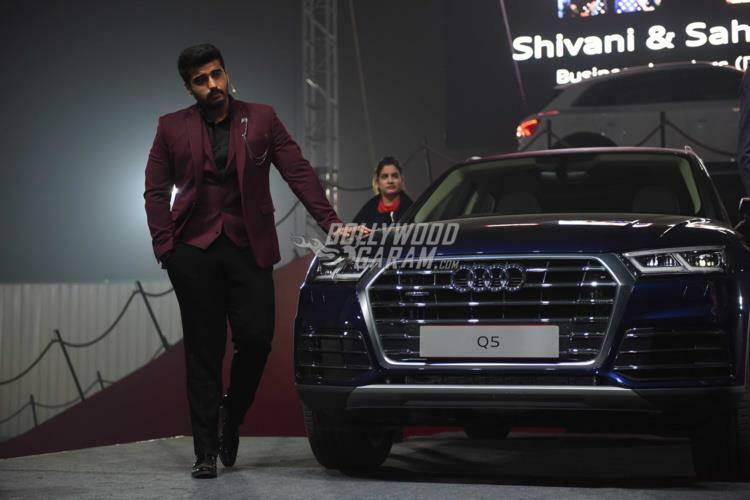 The actor was seen in a black shirt, black pants with a maroon jacket and a waistcoat. 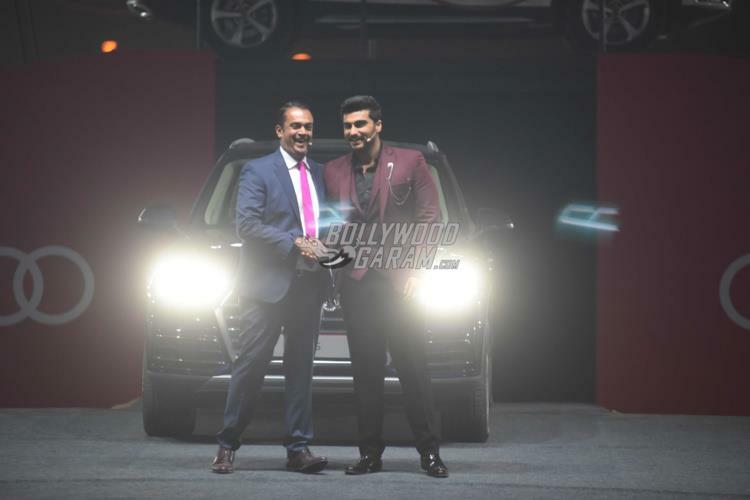 Arjun, who is currently shooting for the film Sandeep Aur Pinky Faraar, was seen interacting with the guests at the event. 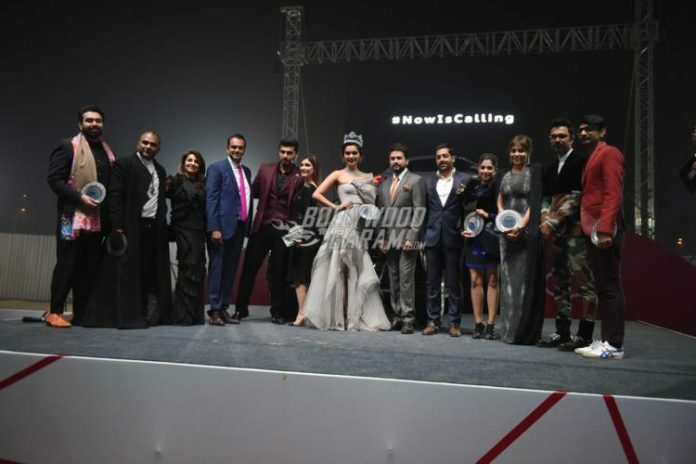 The launch event also saw the presence of Ranbir Kapoor sister Riddhima Kapoor Sahni, who dazzled in a glittery black outfit. 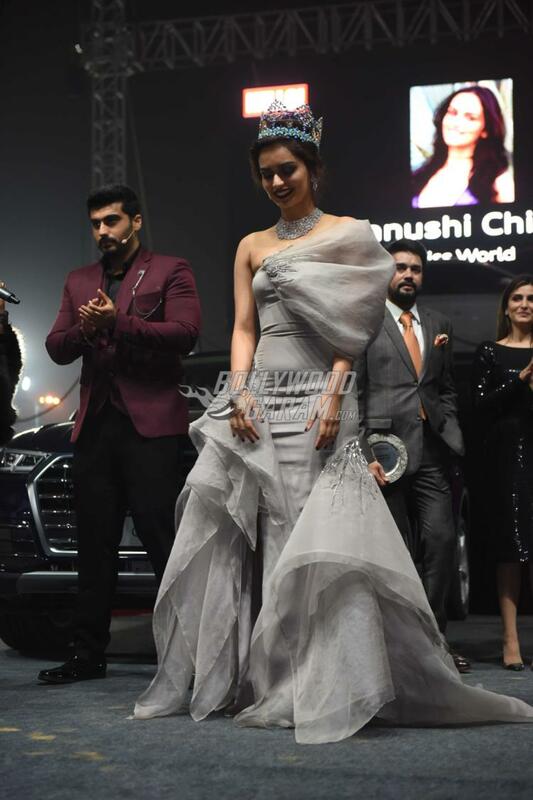 Manushi looked graceful in a grey maxi gown and wore her Miss World crown. On the work front, Arjun was last seen in the film Mubarakan, which also starred his uncle, Anil Kapoor and is currently filming for Namastey Canada, which is the sequel to the film Namastey London which had Akshay Kumar and Katrina Kaif in the lead role.